I don’t usually have an excuse to quote Nietzsche on this blog, but no one sums up the repetition of experience over time quite like him. 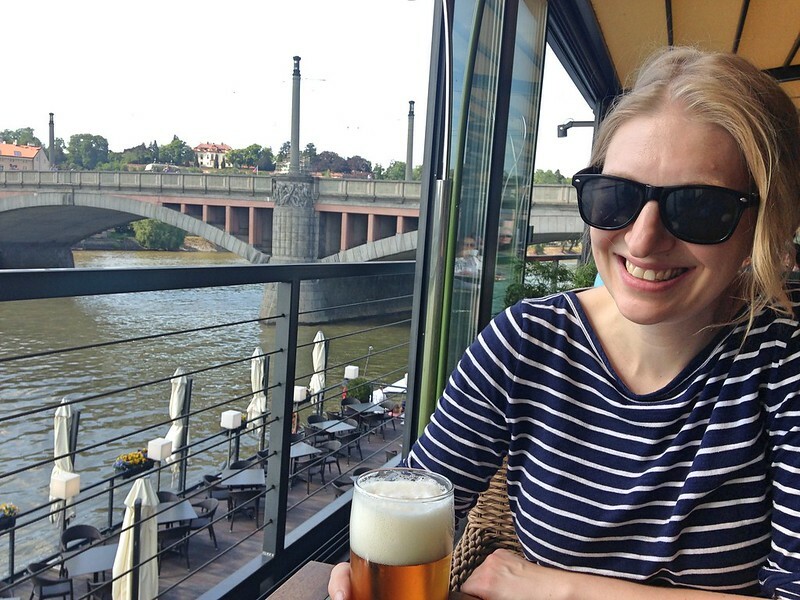 Our 2018 summer trip was all about time folding back in on itself; it was our second time in central Europe in two years, and we got to spend time with some of our favorite people from very different eras of our lives. During our six weeks abroad, we both felt time speed up in certain places and then slow back down in others. We saw how much can change in a year, as well as how little. 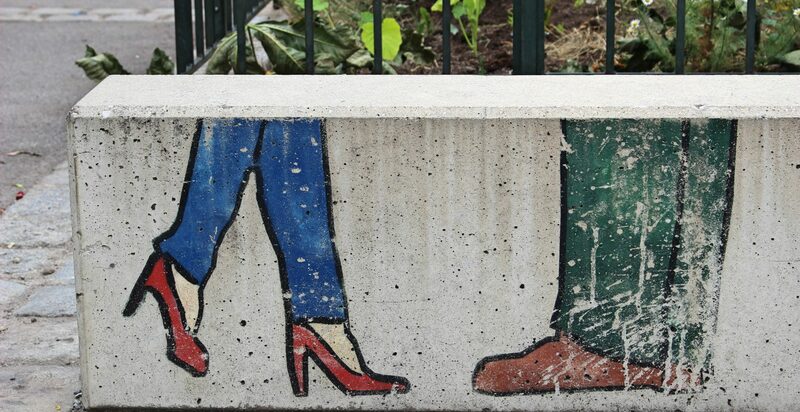 But mostly, we felt how interconnected we are with other people and places, across timespans both long and short. We hit the road (air?) 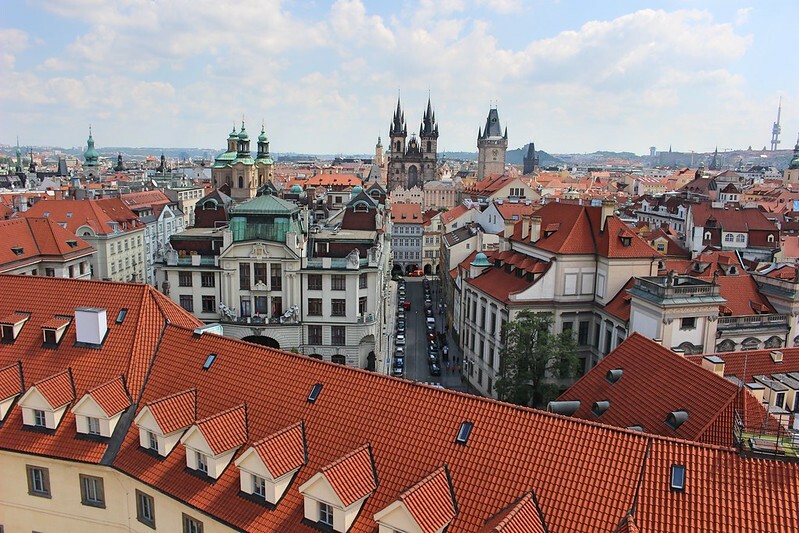 in late May and headed to Prague for the International Communication Association conference, the biggest annual gathering of folks in Matt’s field. There, our three worlds converged: researchers and friends from Wisconsin, Vienna, and Alabama were all gathered in one place. No Orloj this year. Giant fighting bears instead. 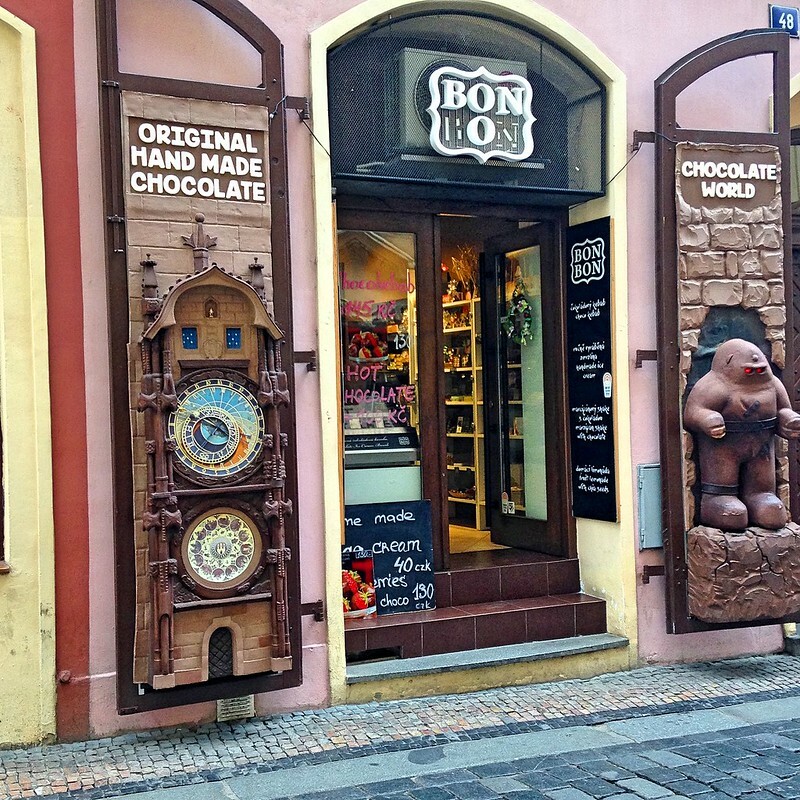 I did manage to find a chocolate version of the Orloj, which was a pretty darn good replica. Also, a chocolate Golem with glowing red eyes. As Matt conferenced, I walked. A lot. 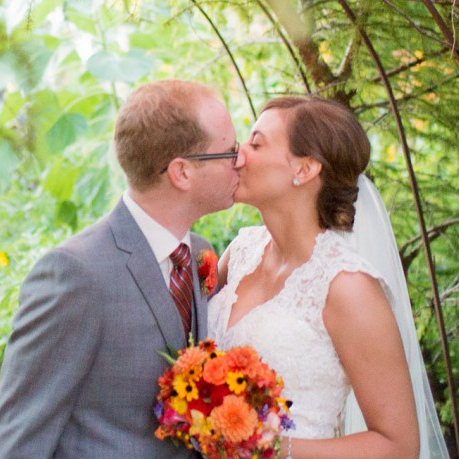 Mostly with this gal, a historian who started her master’s degree with me and is now in the end stages of her PhD. She walked me up a very big hill to look at a very big statue of a man on a horse. And that was just the beginning of our day. 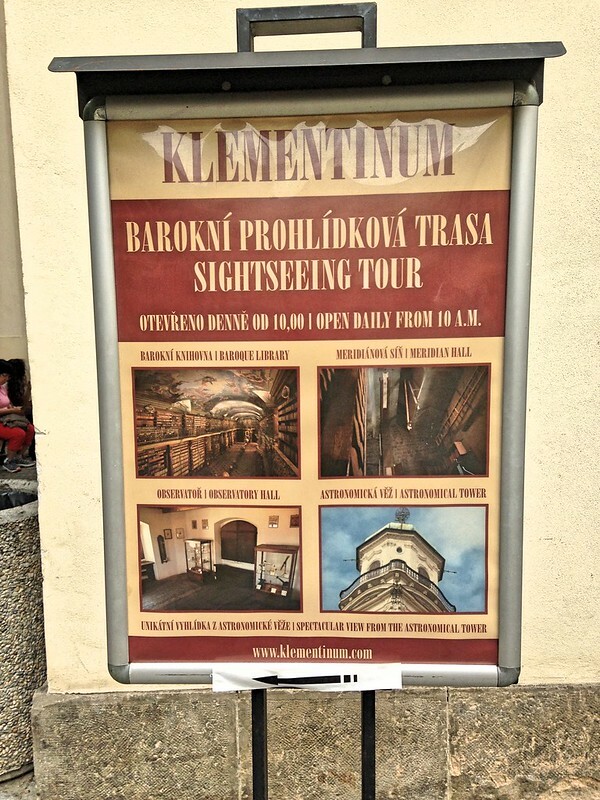 But like Matt, Caitlin was in town to work and not just to hang out with me, so I found myself with some solitary wandering time and made my way to the Klementinum, Prague’s historical astronomical center and Baroque library. 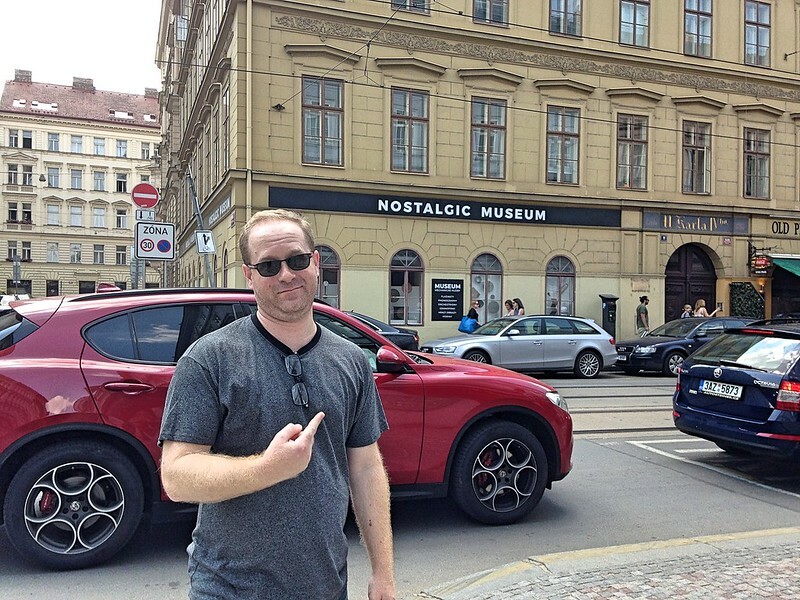 The last time we came to Prague, I had no idea this place existed. I learned about it through my Tuscaloosa writing group, and I set out on a mission to visit “the most beautiful library in the world” and to take a selfie to send back to the group. The library really is beautiful, filled with globes and books and Baroque murals on the ceiling. But I can’t show you any of that, because our tour guide was serious about the no-photos thing. I guess you just had to be there. Literally. Here’s the sign by the front door. It’s the best I got. My photography consolation prize was the roof of the complex, which offered some spectacular views of the city. I forgave the tour guide. Not bad for a library window. 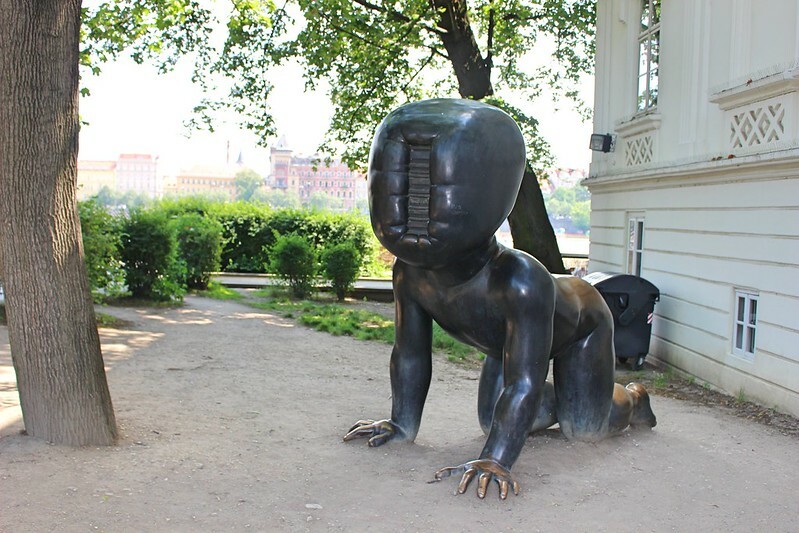 At the end of the conference, Matt had some time to explore with me and we retraced his early ’20s backpacker steps to the Malá Strana neighborhood. Across the street from one of Matt’s now-defunct hangouts from “back in the day.” I couldn’t make this up if I tried. 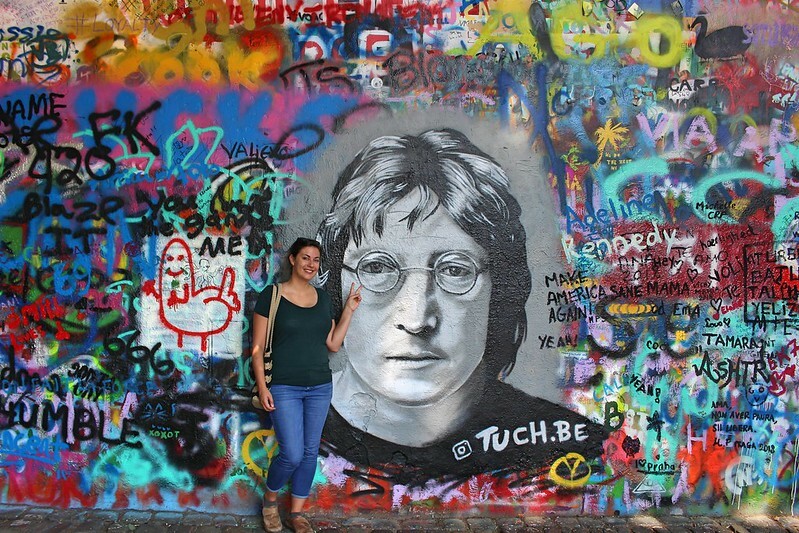 From there, we stumbled onto the John Lennon Wall, a charmingly strange street-art attraction that’s dedicated to … you guessed it. 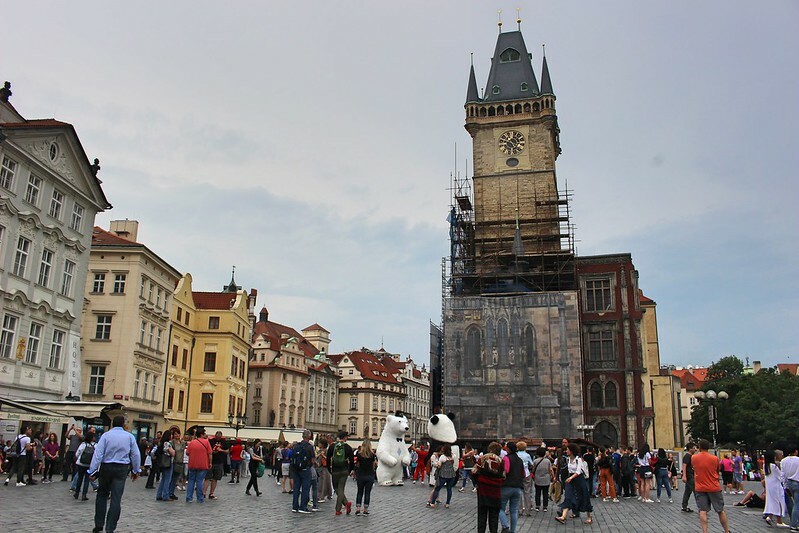 Lennon never visited Prague, but that hasn’t stopped decades of Beatles lovers from painting peace-and-love messages onto a short stretch of stucco between two otherwise typical Czech blocks. 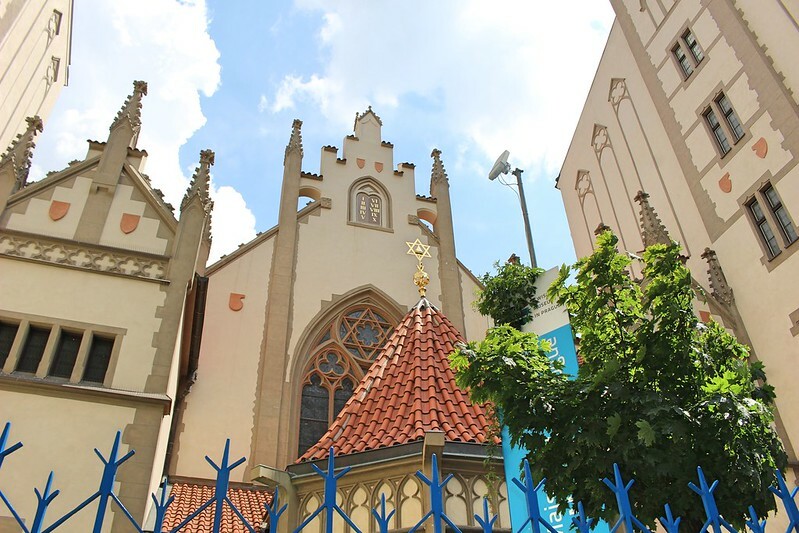 The Maisel Synagogue, built during the Josefov’s “golden era” in the late 1500s. 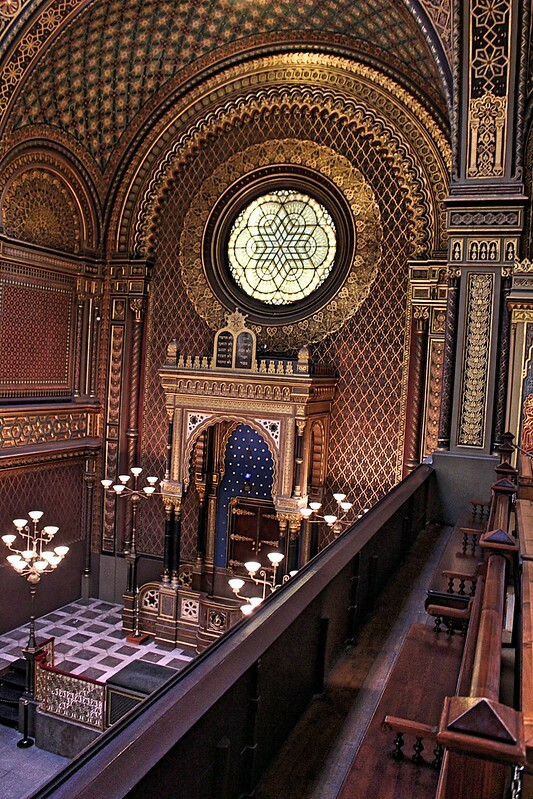 The spectacular interior of the Spanish Synagogue. 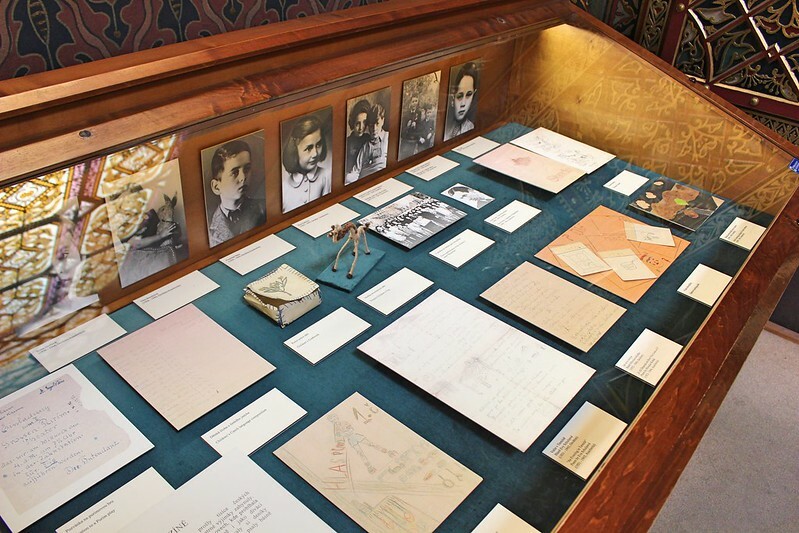 Drawings and letters by children detained in concentration camps, on display in the Spanish Synagogue. 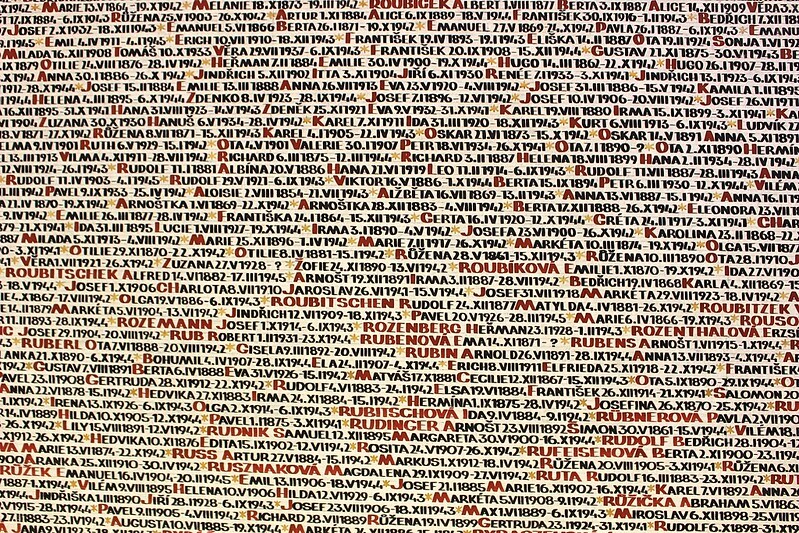 The walls inside of Pinkas Synagogue are covered in the names of Czech Jews who were killed during the Holocaust. It’s intense to stand in the center of the building and be surrounded by them. Throughout the tour, we both felt it was uncomfortable yet important to be confronted with the story of how a civilized, progressive, and artistic empire could turn on its own and descend into such dark and ugly times. Not all babies are beautiful. Here’s more info about this horrible thing. Also, it’s a town with a whole lotta sausage. 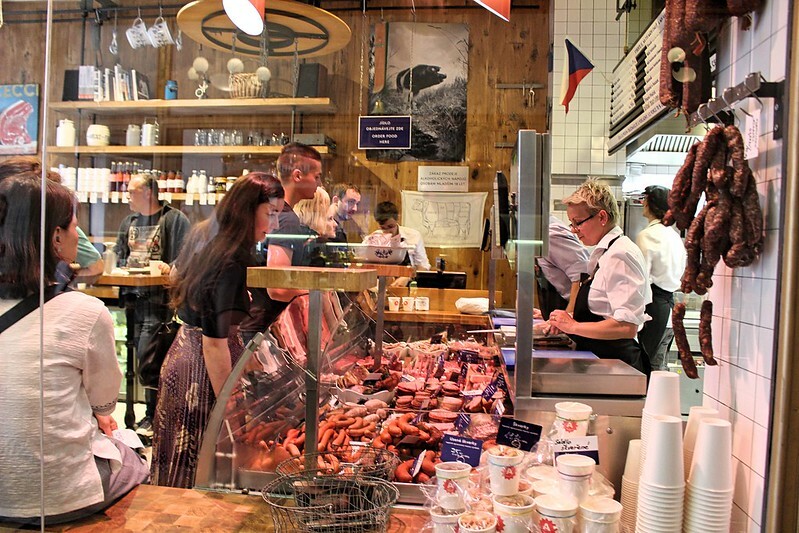 We lucked into lunch at Naše maso, a tiny butcher shop with a massive cult following. After a week in Prague, it was time to move on to the main event of the summer: the chance to revisit “our” Vienna.